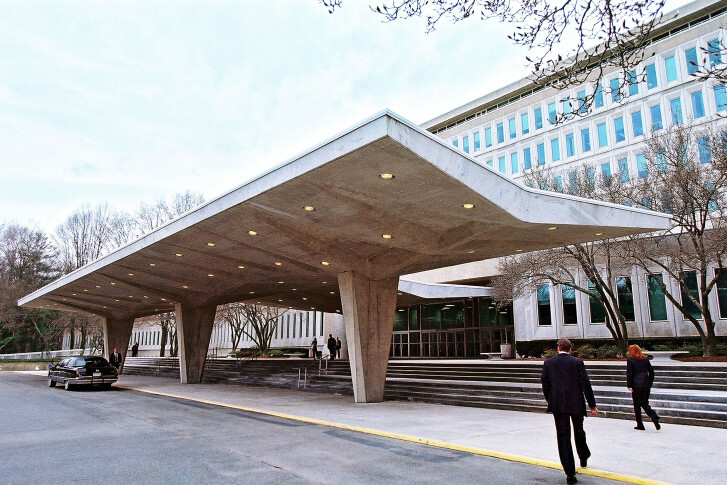 WASHINGTON — A former FBI agent accused of driving to the gate of the CIA in Langley, Virginia, and issuing a number of violent threats, has been ordered to undergo a psychological evaluation. Tunisia Davis — an Alexandria woman who was a FBI agent from 2004 to 2010, according to court records and friends — is accused of traveling from the National Security Agency to the Central Intelligence Agency last week and threatening to kill federal police. Davis was scheduled to appear in court Tuesday afternoon, but did not attend her hearing, reports NBC Washington. The judge says Davis was acting inappropriately and was uncooperative. The judge added that force would have been needed to get her from U.S. Marshall’s custody in Alexandria into the court room. After some arguments from attorneys, the judge ordered Davis undergo a psychological evaluation, which will likely happen in the next day or two, NBC Washington reports. She is being charged with assaulting a police officer. Davis is accused of driving to the Northern Virginia campus of the CIA on April 30 and driving past an officer. Another officer had to stand in her path to stop her. While she was being handcuffed by officers, she reached out with a free arm for the officer’s gun but was thwarted, according to court documents, which were obtained and reported by NBC Washington on Monday. Davis allegedly told the officers that if she had gotten the gun, she would have killed everyone in sight and bombed the CIA. She has denied reaching for the gun. Davis’ Facebook page, MahoganyChange, features a number of selfie videos, including one she made just minutes before driving up to the CIA campus. Davis’ defense attorney would not comment, nor would the FBI or CIA talk to NBC Washington for comment. In her numerous Facebook videos, Davis references her time at the FBI, which she repeatedly criticizes. Also, she takes aim at the federal government, the treatment of blacks by law enforcement and other issues. Derek Delgadillo, who told NBC Washington he is a friend and Davis’ former roommate, suggested she wanted to get arrested, and had referenced the arrest of Freddie Gray, who died in police custody in Baltimore in April. Davis notified him in April that she would be moving from her Alexandria apartment by April 30, the same day she was arrested, he said.